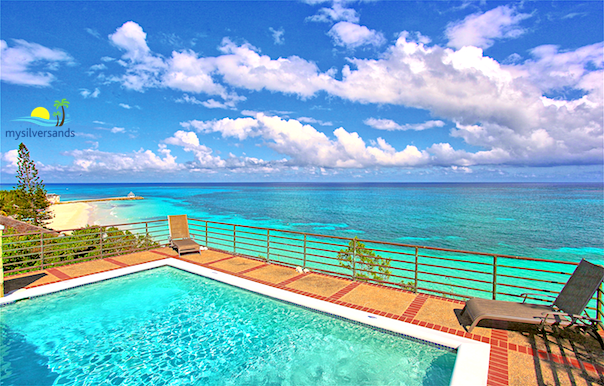 Image 1 of 11: The Worthy View swimming pool and the Silver Sands Beach. 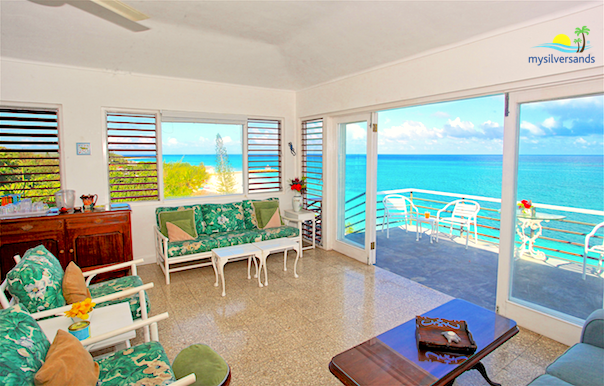 2 of 11: Bright and breezy Living Room with that amazing view! 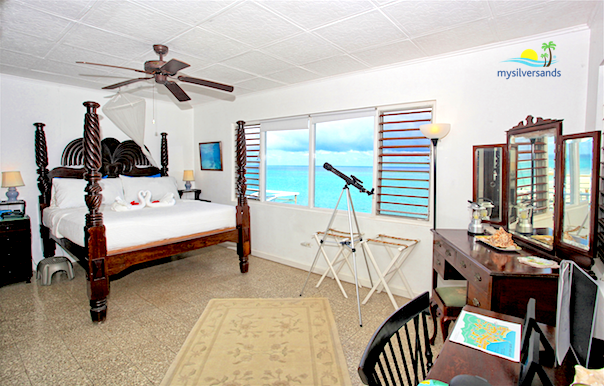 3 of 11: The Master Bedroom is furnished with a king bed and offers amazing sea views through the huge picture window. 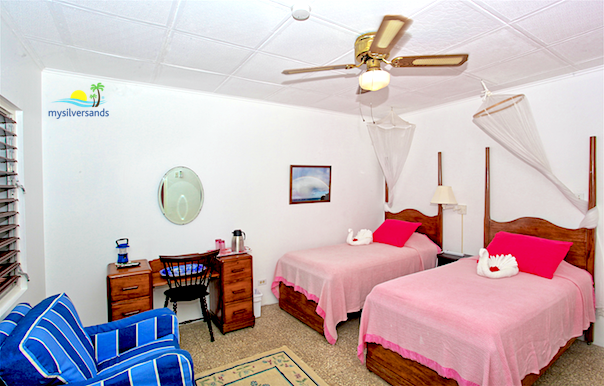 4 of 11: The Pink Bedroom is furnished with twin beds. 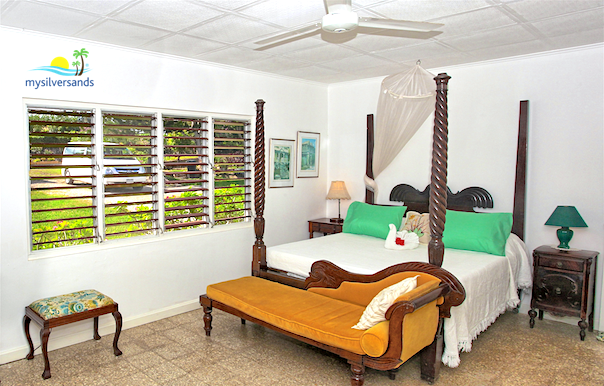 5 of 11: The Garden Bedroom is furnished with a king bed. 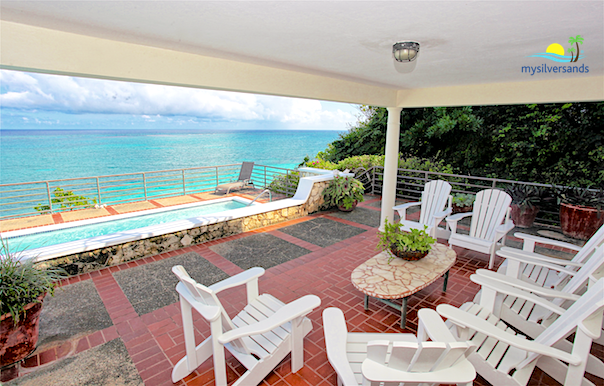 6 of 11: Enjoy the amazing view of the Silver Sands Beach and the Caribbean Sea from the Patio which is just off the Living Room. 7 of 11: Dining indoors with a view. 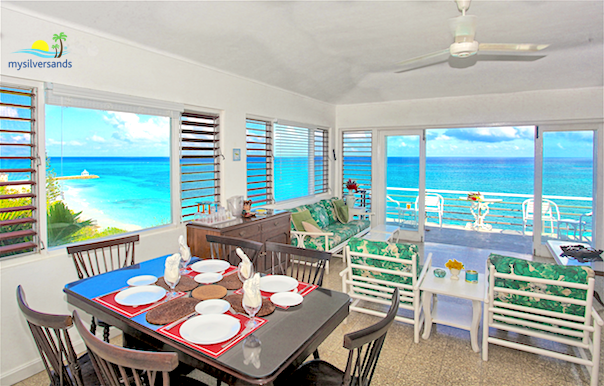 8 of 11: The Living & Dining Room is bright and breezy with amazing sea views. 9 of 11: Looking to the Northeast from the Living Room. 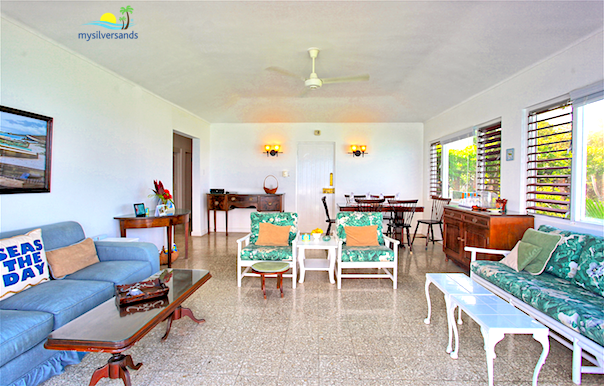 10 of 11: Relax in the shade of the verandah which overlooks the swimming pool while the Trade Winds blow in from the Caribbean Sea. 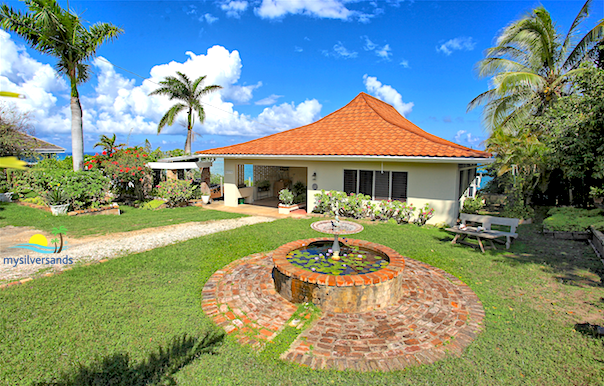 11 of 11: The entrance to Worthy View features a beautiful garden with lily ponds and water fountain. 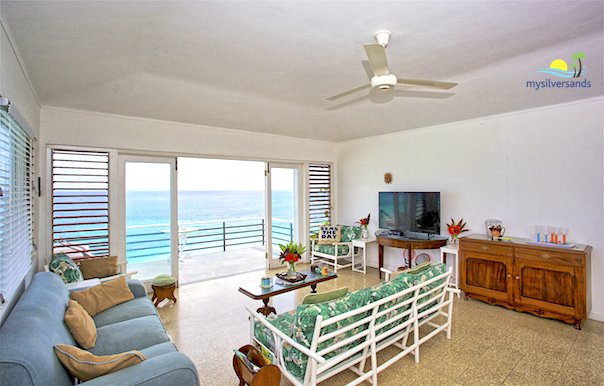 All bedrooms and living room windows are screened. Staff hours are from 8 am to 4 pm or 9 am to 5 pm. NOTE: Neighbour's pet cat frequents Worthy View. 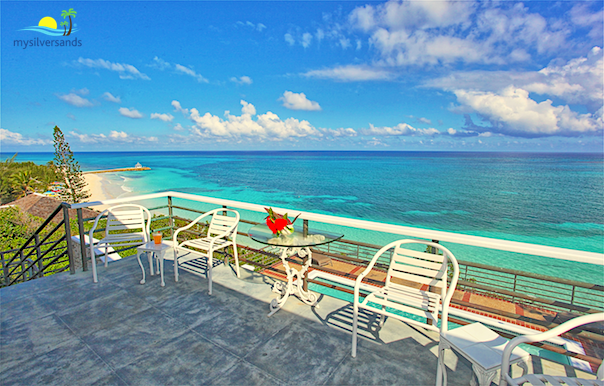 Worthy View costs from $299.00 to $552.00 per night.